Hey guys and gals! 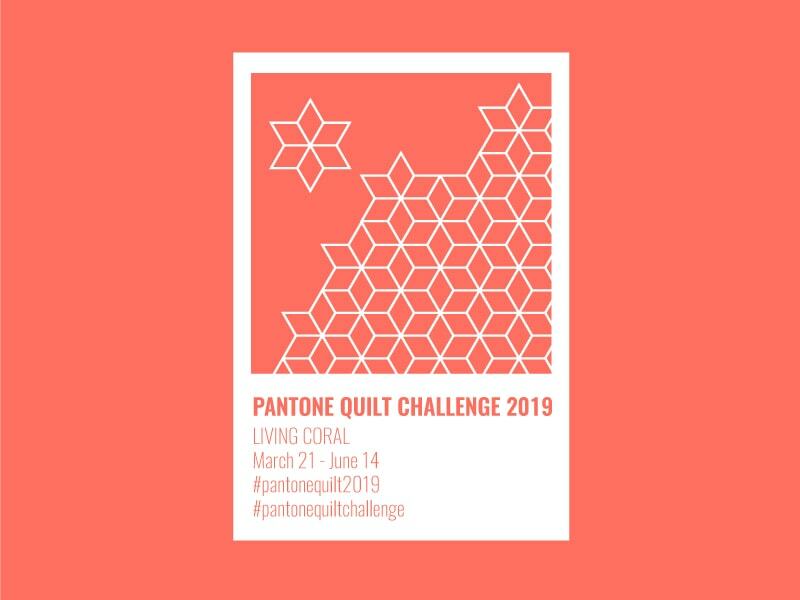 The Pantone Quilt Challenge is upon us, and this year we’re celebrating LIVING CORAL(!!!) We may be slightly biased, but who doesn’t love a good, thriving marine invertebrate?! 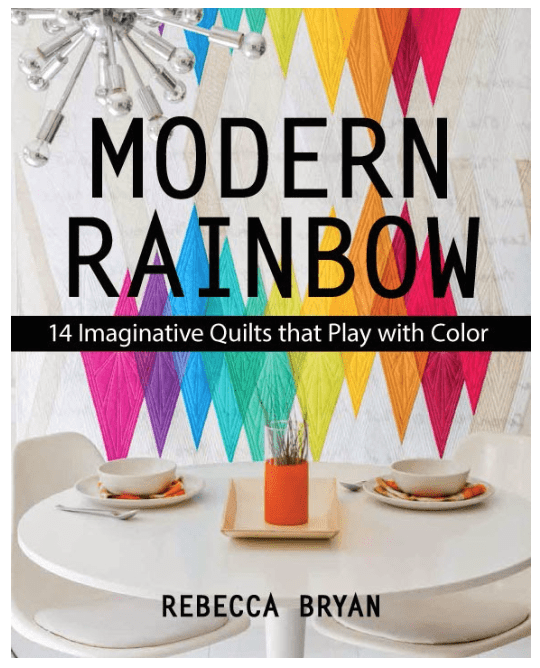 Today, Sarah of no hats in the house and I are pleased to announce the details for the 2019 Pantone Quilt Challenge contest! SO, straight to the good stuff. We couldn’t be happier to announce our three guest judges: Erika Bea, Lucy Tiffney, and Tula Pink. These powerhouses are pure inspiration on so many different levels (and in so many mediums!). From original surface pattern design to masterful murals to pie-baking artistry, our judges, together, are truly masters of all trades. Lucy Tiffney has an inherent need to create, and an ambition to make fresh, happy, and colorful designs for all. Lucy’s original large-scale murals and beautiful, bold wallpapers showcase her signature hand-painterly style and unique interpretation of the natural world. 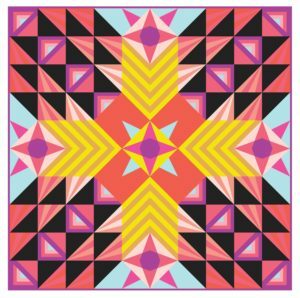 Tula Pink is an illustrator, fabric designer, quilter, author, maker, and proud member of the “more is more” school of thought. She lives for fabric design, and is known for her bold use of color and pattern, and a unique flair for hidden animals in her designs. For those of you familiar with the Annual Pantone Quilt Challenge, this year’s rules are generally the same as in years past, with a select few tweaks. In the interest of keeping things fair, we’ll be keeping an eye on entries and enforcing the rules by removing any entries that don’t meet the requirements. Please let us know if you have any questions or need clarifications! 1. Seeing how this is the Living Coral pantone challenge, your project must contain at least *some* Living Coral (or similar shade). But what shades of coral count as living coral, you ask? Whatever comes close! Read: no one will be whipping out an official Pantone swatch alongside each entry photo to check for a perfect match. Just try to get as close as you can, and follow along with us here or on social media for some fabric suggestions throughout the challenge! Remember, you can also use any other colors or neutrals you like, and as many (and as much) as you like. That said, we would like to see Living Coral as the feature color of your quilt, and we will be asking the judges to take your use of Living Coral into account when making their decisions. (Tweak for 2019!) For Exhibit Only (formerly known as the non-judged category): Any Living Coral project that doesn’t quite fit in one of the above categories but you’d like to share all the same! Or you just want to play along without the judgy pressure. The contest will run from March 21 until June 14, 2019 with the link party open during the last 10 days (June 5 – June 14). Winners will be announced the following week (or thereabouts). 3. You can submit one entry per judged category (i.e., up to three entries). Entries for quilts and minis should be completed projects, including quilting and binding. All items in judged categories must have been completed in 2019 to be eligible. 4. By entering the contest, you agree that your project picture may be used in follow-up posts about the Pantone Challenge. 5. All items in judged categories must have been completed in 2019 to be eligible. 1. A link party/gallery will be hosted at Bryan House Quilts and no hats in the house. Entries will be open from June 5 – June 14, 2019. Entries will close at on June 14 at 11:59pm EST. 2. Each entry should link to a blog post, Flickr page, or Instagram post. We’re asking judges to pick a top U.S. and a top global (non-U.S.) pick. To restate, each judge will pick two top winners – one from the US entries and one from the international entries. Judges will also choose a 2nd place winner (from anywhere). While the judges are deliberating, the community will vote for viewers’ choice from each category. Just as in previous years, we’ve kept the viewer participation element of this challenge so that there is a viewer’s choice award for each category. We know you’ll have fun looking at all the entries and voting for your favorite in each one (us too!)! Door prizes for entries in the Exhibit Only will be chosen at random through a random number generator. Finally, we would really (really) love to see an entry from absolutely everyone who feels the slightest bit inspired by Living Coral, regardless of skill level or the year completed, so several entries that haven’t already won a prize will be drawn at random for one of our “door prizes”, which we’ll be announcing later in the competition! Note: New this year, entries in the For Exhibition Only category will also be eligible for a door prize. 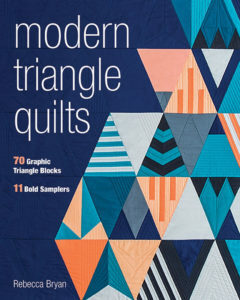 We thought it would be fun to provide a place for people to share quilts that feature Living Coral but don’t necessarily comply with all the challenge rules—e.g., because they were not finished in 2019—or, perhaps, because the makers would rather share them in a non-judged forum. We will be providing a separate link-up for people to share these quilts. However, outside of random winners selected for door prizes, they will not be eligible for judging, voting, or to win other prizes. We’ll be sharing more information and behind-the-scenes-other-stuff over on social media. First up is an Instagram Live with yours truly (…and Sarah, if she can figure out Instagram Live) discussing the details and prizes. We also welcome (and encourage!) 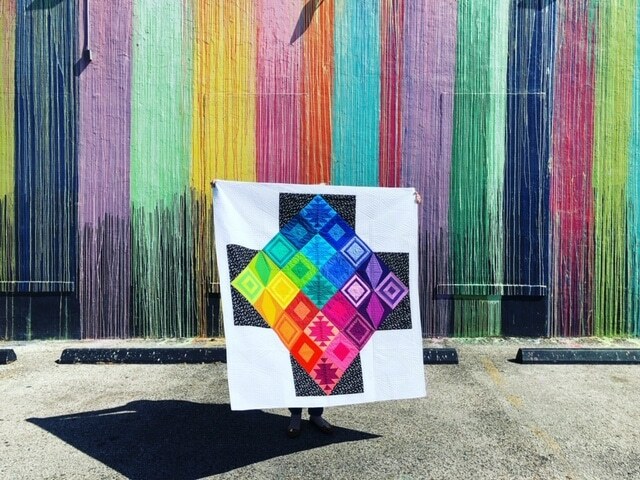 you to share your creations while you’re working on them and connect with other Pantone Quilt Challenge makers across the globe on Social Media. 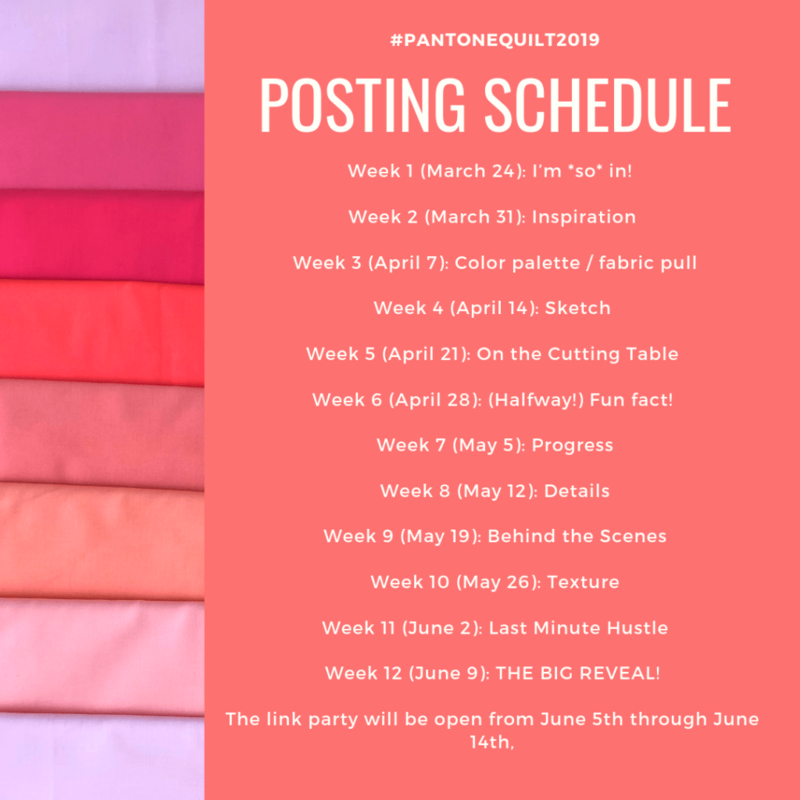 On Instagram, be sure to tag your posts using the hashtags #pantonequilt and #pantonequilt2019. We can’t wait to see what everyone comes up with! This year we’re adding photo prompts for Instagram (stories or feed!) to help us all stay on track… Note: This is 100% *for fun* and participation is in no way a prerequisite to entering the challenge! One logistical note: We probably won’t always post the same day each week (because, life). We invite your posts on the prompts any day during a given week, and if you join late, we welcome everyone’s participation (tardy or otherwise) all the same! ‘Have been looking forward to this announcement. It is so fun to see all of the quilts every year. Working on two Coral projects already. Awesome! It’s fun to see so many people excited for this! Thanks for commenting. Excited about contributing for the first time. Got ideas, got fabric. Now to carve time to create.